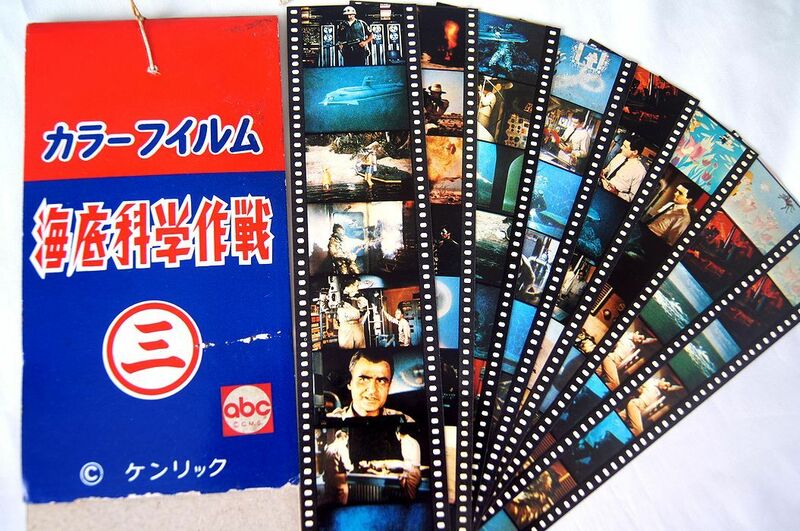 Very rare Japanese small-time toy collectibles from over 45 years ago! 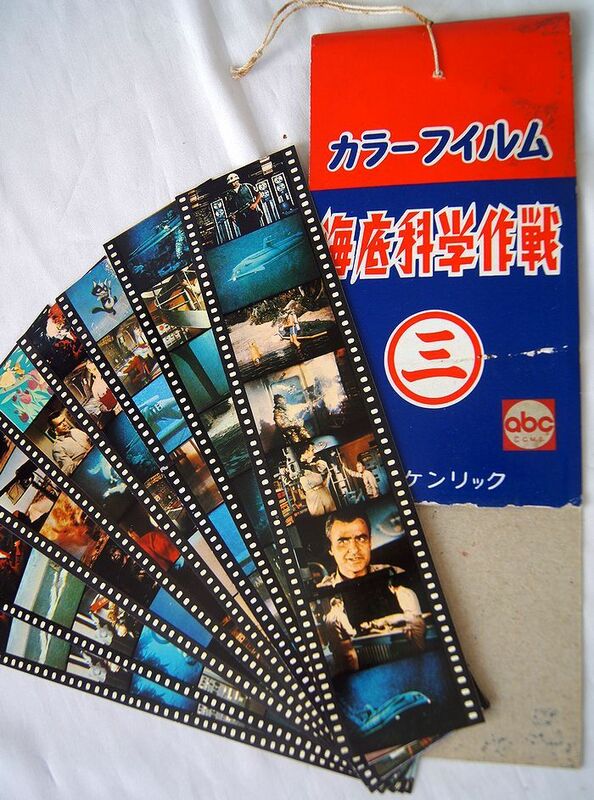 Irwin Allen's "Voyage to the Bottom of the Sea" 8 film cel bookmarkers with original hanging display cardboard. 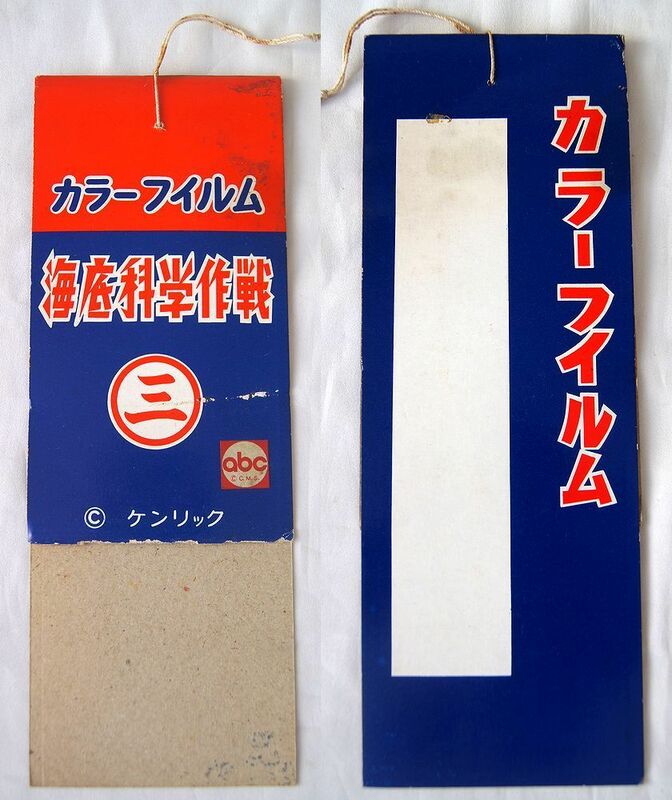 Bookmarkers are made with tick cardboard paper made in Japan in 1968. Issued by the Marusan-Shoten in Japan. Bookmarker Size: approx 1.8" x 7.5" inches each Hanging Display Size: approx 3.4" x 9.0" inches Material: These are made by thick paper, NOT real films. 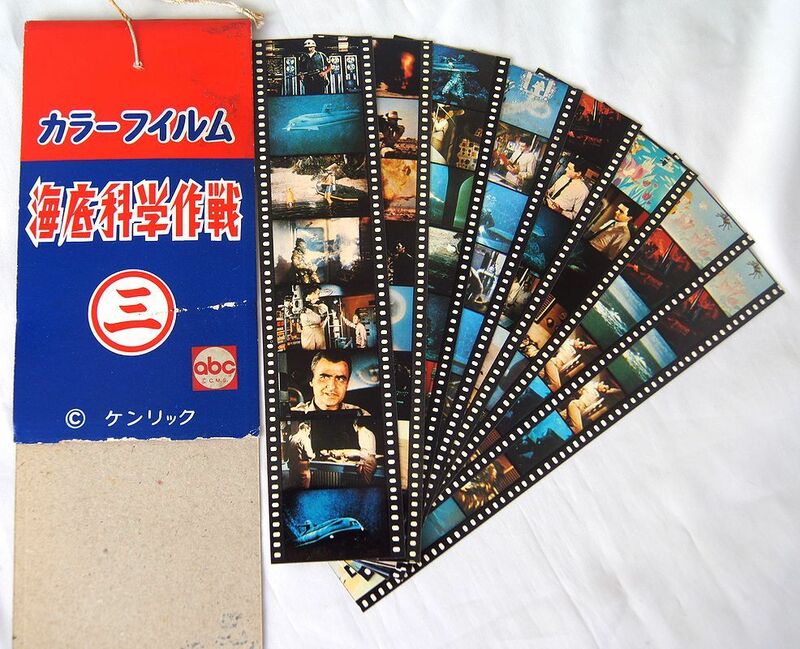 Condition: Each bookmarkers are in Superb beautiful condition!! !